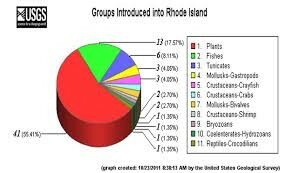 Rhode island was founded so that people could freely practice different religions. In 1635, a young minister named Roger Williams ran into trouble for criticizing the government of Massachusetts. Then he had to leave Massachusetts. The Climate allowed colonist to create a strong economy. Narragansett bay and severel rivers provided fish, transportation, and trade. Animals were for their furs. The colonies forests provided timber. The soil in the southern part of the colony was good for farming. Winters were sometimes harsh, but summer rains were enough to grow healthy crops. They raised animals and grew corn, tobacco, and beans on small farms. Ships from Rhode island carried rum, sugar, wool, and beef to buyers in England and the west indies ( islands in the Caribbean sea). 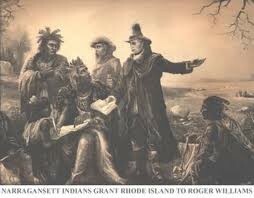 Williams spent the winter with the native Americans.In 1636, he started a town called Providence. This town became the capital of New England colony of Rhode Island. Two years later, another preacher, Anne Hutchinson, spoke out against puritan beliefs. 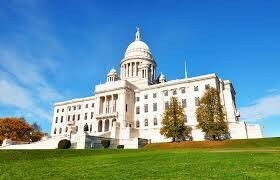 She to was forced to leave Massachusetts, and she moved to Rhode island. in time, the colony became known as a place people with different religions beliefs were welcome.